The Rev. Franklin Graham is expressing support for one teenager who was attacked by a political opponent who ripped his “Make America Great Again” hat off and began hurling obscenities toward him. On Tuesday night, Hunter Richard was dining at a Whataburger restaurant in San Antonio, Texas, with a friend when a man approached their table, yanked off the teen’s red hat — emblazoned with President Donald Trump’s well-known campaign slogan — and began verbally assaulting him for openly supporting the president, according to WOAI-TV. 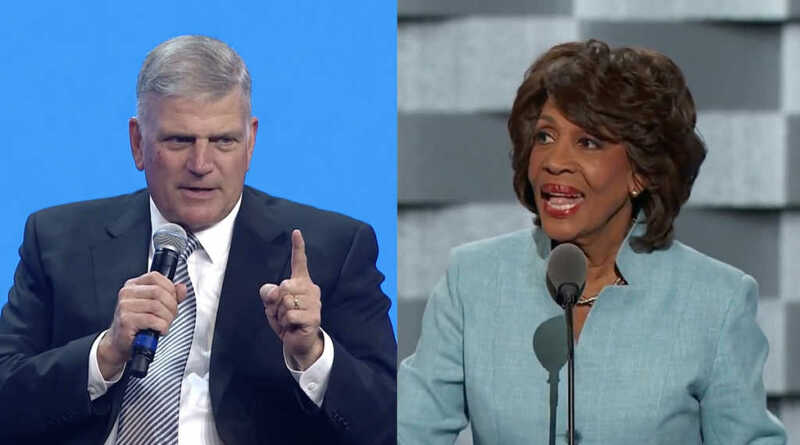 In a Facebook post about the ordeal, Graham linked the incident to words from Rep. Maxine Waters (D-Calif.), who just weeks before encouraged progressive voters to openly harass members of Trump’s administration — an effort, she claimed, that is supported by God. Her comments came after White House press secretary Sarah Huckabee Sanders was asked to leave a restaurant in Lexington, Virginia, because her presence made some of the eatery’s employees uncomfortable. “I’m sure Representative Waters is very proud of the person who did this — but I’m more proud of this young man’s thoughtful response,” he continued. The man who accosted the pro-Trump teenager was later arrested for and subsequently fired from his bartending job after footage of his attack went viral on social media, Newsweek reported. “We came up with a T-shirt to promote something that can really make a difference — PRAYER!” Graham said of the T-shirts.